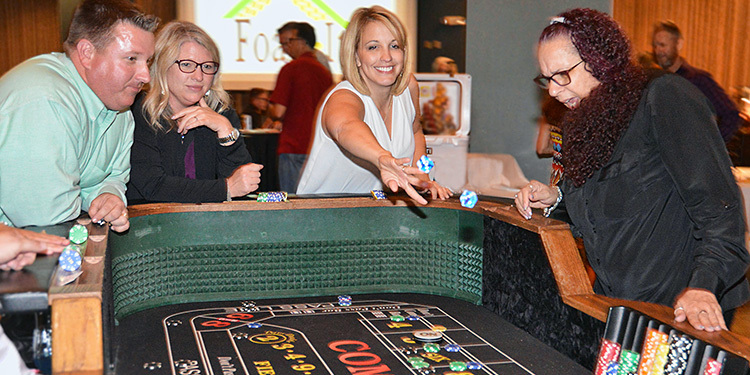 The First Comal Education Foundation Casino Night raised nearly $20K on Oct. 15. “Viva Las Vegas” at the McKenna Events Center in New Braunfels exceeded expectations for the fundraiser, whose profits go directly into Comal ISD schools in the form of classroom grants. There was also a live auction that included items like a stay at a beach house on Mustang Island, a deer hunt at the 7,000-acre Phillip’s Ranch,VIP varsity football game packages for the winning bidders and up to six of their guests at Canyon, Smithson Valley and Canyon Lake High schools were featured.